Chili Rubbed Pork Porterhouse: I like pork chops. 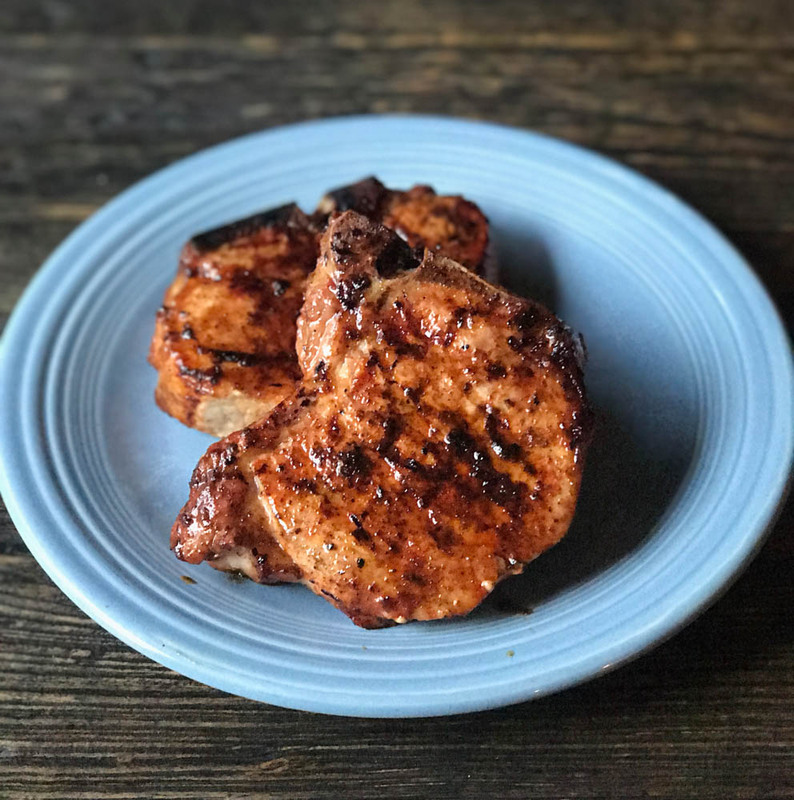 To me, they are as versatile as chicken breasts, but with more intrinsic flavor. No matter what type of cuisine I am craving, I can make it with a pork chop. Asian, Italian, tex-mex, you name it and you can season or marinate them and come up with the flavors you want. 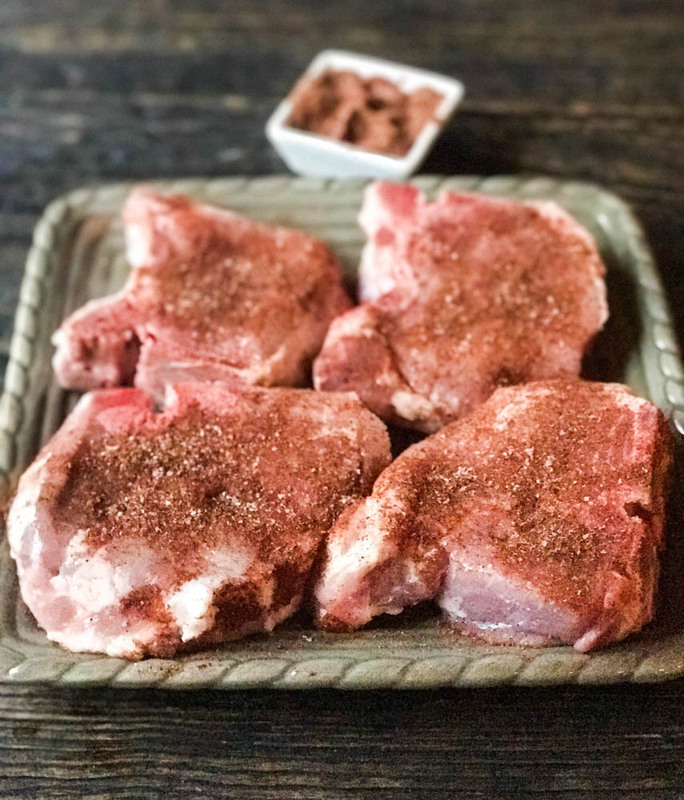 When I want something with a bit of New Mexican flavor, this chili rubbed Pork porterhouse really fit the bill. Most of the time I purchase pork loins and cut my own chops. However, on a trip to the meat market recently I found some nice looking bone-in pork chops. 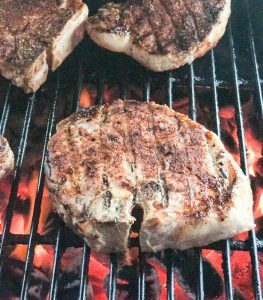 Most of the time when you get a bone in pork chop, you are buying a cut similar to a bone-in ribeye. If the butcher keeps cutting through the loin, he can get a few cuts that contain the tenderloin and the pork loin, just as a porterhouse contains a strip and a filet. These are my absolute favorite! When I find a nice 1 1/2″ pork porterhouse, I usually end up knowing what’s for dinner! 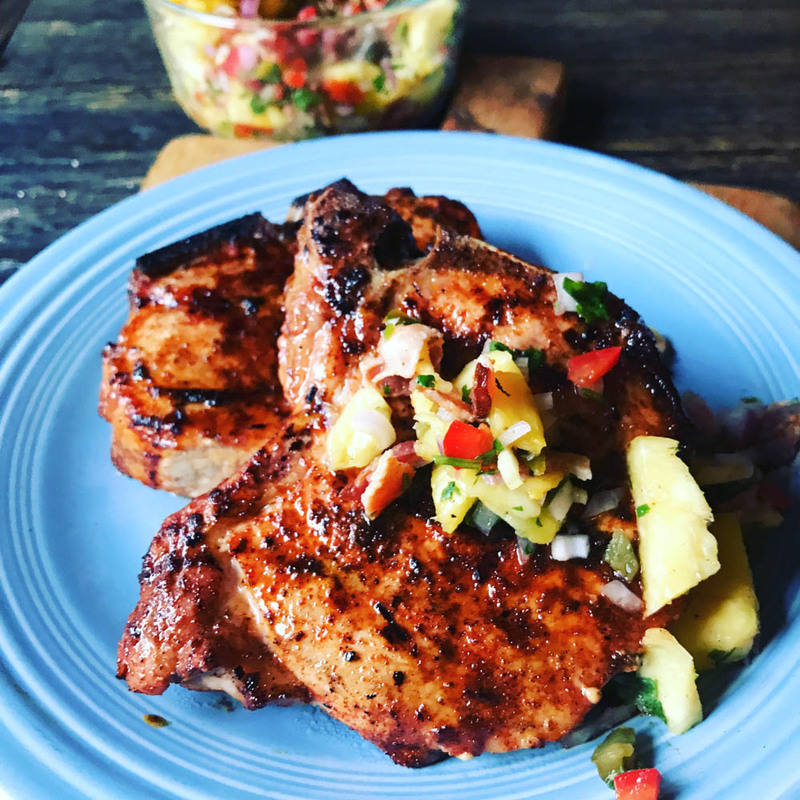 For these pork chops, I was going for a bit of New Mexico chili flavors, and wanted to freshen it up with a pineapple salsa. I used my Chili Rub to season the chops. As they were finishing cooking, I glazed with my Brown Sugar Chili Glaze. I served them with a healthy dollop of Grilled Pineapple and Bacon Salsa. First, season those bad boys and let sit out for about 30 minutes while you fire up the grill. Then, put them on a hot grill and cook about 4-5 minutes per side. As they finish cooking, glaze with my Brown Sugar Chili Glaze, then remove and let rest for 4-5 minutes. Top them with some Grilled Pineapple and Bacon Salsa and serve!